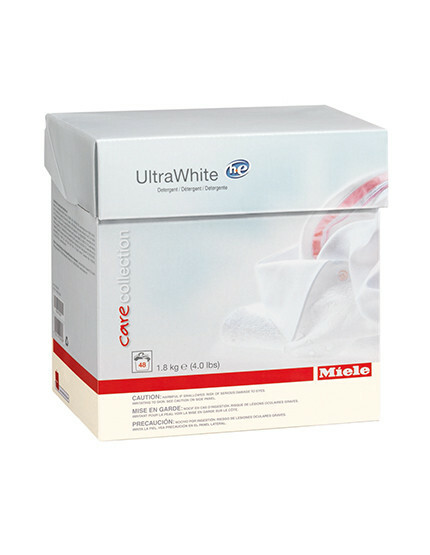 Miele’s UltraWhite Powder Detergent is designed to keep your whites white. Miele’s UltraWhite Powder Detergent is designed to keep your whites white. 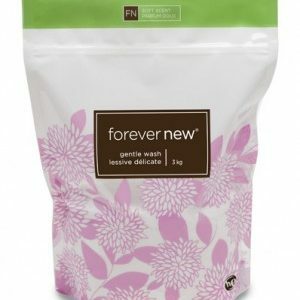 It is a highly concentrated multi-purpose detergent for white or light-coloured textiles and heavily soiled coloured fabrics. 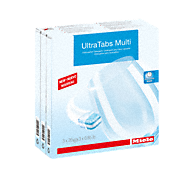 It achieves optimum stain removal and keeps your whites brightest, even in water temperatures as low as 40°C. Miele UltraWhite protects your fabrics by preventing encrustations and other fabric-damaging soiling/stains. UltraWhite is kind to the environment: it contains neither phosphates nor zeolites and is biodegradable.